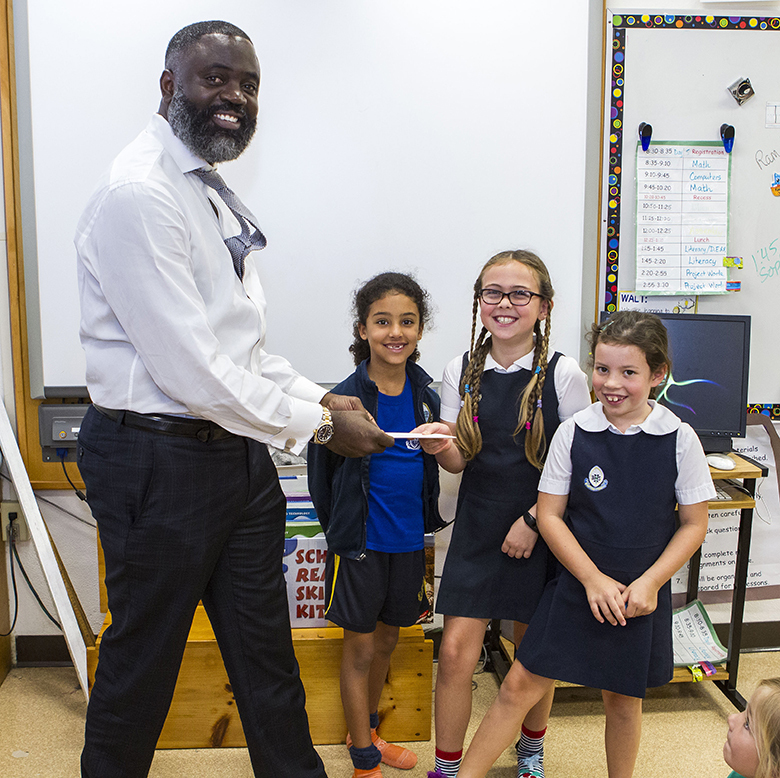 The Minister of National Security Wayne Caines engaged with students from BHS earlier today, when he was invited by the school to be a guest reader. 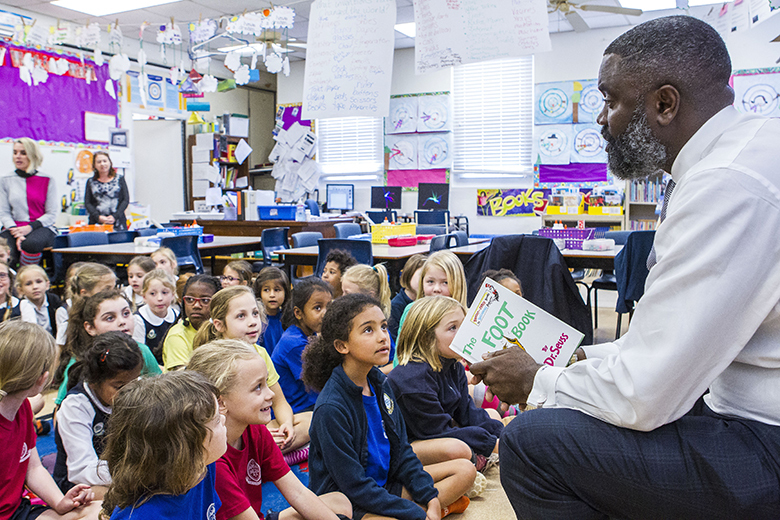 During his visit, Minister Caines read Dr. Seuss; The Cat in The Hat and The Foot to a P3 class. And at the conclusion of his visit, the students presented the Minister with a “Thank You” card. 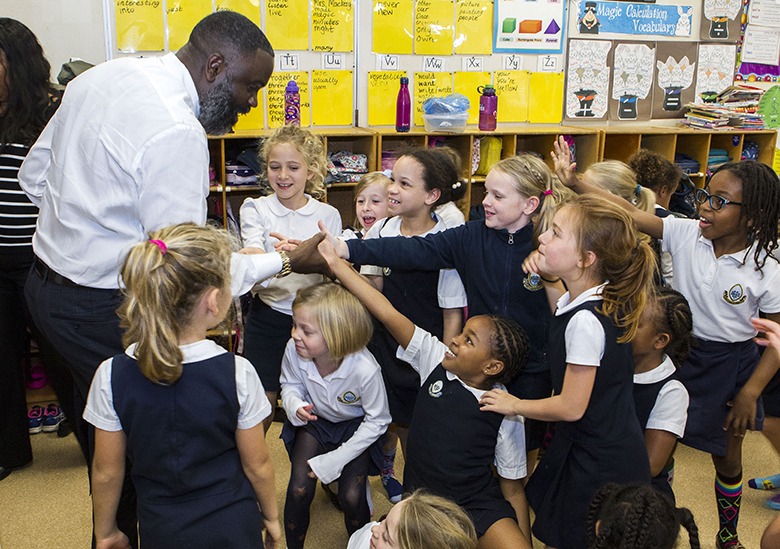 Of the occasion, Minister Caines said he “enjoyed spending time with our young people in celebration of reading and learning”, and he thanked the teachers at the school, particularly English teacher Sarah Wheddon for inviting him. Today’s event was timely as countries around the world, including Bermuda prepare to recognize March 1st as UNESCO World Book Day in appreciation of authors, illustrators and reading. Minister Wayne Caines and P3 students from BHS.